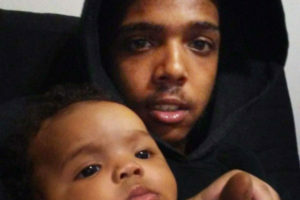 The tragedy is that 26-year-old James McChristian was leading a good life when he was fatally shot in Auburn Gresham last summer, according to his cousin, Anthony Williams. “When he first had kids, I was worried because he didn’t have his things together,” said Williams, 36. But that changed and he came to respect McChristian for correcting his path and caring for his kids as if nothing else mattered. McChristian was sitting on his porch early morning Sunday, Sept. 17 at the 8300 block of South Hermitage when three people exited a car behind the house and fired on him and three others, police said. He was shot in the chest and abdomen and was later pronounced dead at Christ Medical Center in Oak Lawn, according to police. McChristian was called “BJ” by his mother—short for “Baby James.” When he got older, he took on the name “Beeg” because “he wanted to lose the ‘baby,’” Williams said. 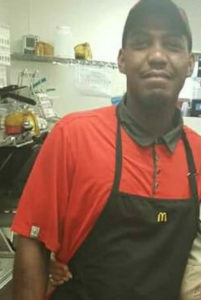 Corey Underwood, 24, was fatally shot Sunday evening in the Lawndale neighborhood on the Southwest Side. About 6:20 p.m., Underwood was standing outside in the 1300 block of South Komensky when at least one person fired shots, striking him in his right leg, according to Chicago Police and the Cook County medical examiner’s office. He was taken to Mount Sinai Hospital, where he was pronounced dead at 7:06 p.m., authorities said. He lived in the same neighborhood as the shooting. At least six people were killed in Chicago the week of Nov. 27-Dec. 3, including a man gunned down in the Back of Yards neighborhood. Tra’don Sanders, 19, was shot Sunday afternoon in the 5000 block of South Winchester at 2:10 p.m. when someone walked up and fired multiple times, according to police and the medical examiner’s office. Moncreef Miller was fatally shot Thursday afternoon in the Austin neighborhood on the West Side. The 26-year-old Miller was standing outside at 2:42 p.m in the 1000 block of North Long when a vehicle approached and someone got out and fired shots, according to Chicago Police and the Cook County medical examiner’s office. The shooter then got back in the vehicle and fled. 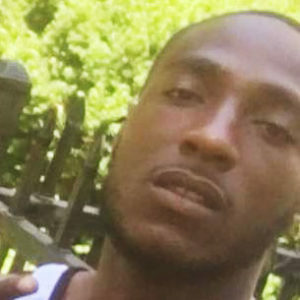 Eric S. Thomas was killed in a drive-by shooting Wednesday afternoon in the East Garfield Park neighborhood on the West Side, according to Chicago Police. Witnesses told investigators that Thomas, 26, was in the 3200 block of West Walnut about 12:15 p.m. when a dark sedan pulled up and someone inside fired shots, police and the Cook County medical examiner’s office said. Thomas, who lived in the block, was shot in the chest and left leg, authorities said. He was taken to Stroger Hospital, where he was pronounced dead at 12:43 p.m.
Isiah Hope High, father of two girls, was shot to death Saturday afternoon in the Northwest Side Cragin neighborhood. Hope was an energetic young man who brought joy to his family, a relative said. “Even through the tough times in life he always had a smile on his face,” High’s cousin Junior Gonzalez said. The 20-year-old High was riding a bicycle at 1:17 p.m. in the 2600 block of North Long when someone in a minivan fired shots, striking him in the chest, according to Chicago Police and the Cook County Medical Examiner’s Office. He was taken to Illinois Masonic Medical Center, where he was pronounced dead at 2:02 p.m., authorities said. A fundraising page was created on behalf of Hope’s family to pay for funeral expenses. Hope “left behind two beautiful baby girls, countless family members, and friends. He was loved by many and deserves the best memorial we can give him,” the author of the page wrote. 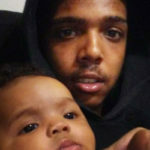 Amery Shannon was shot to death Friday night in the South Side Bridgeport neighborhood, police said. 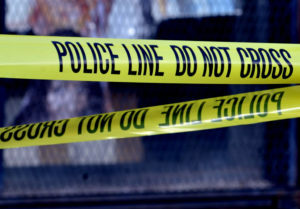 At 8:34 p.m., officers responding to a call of shots fired in the 400 block of West 38th Place found the 38-year-old Shannon with a gunshot wound to his neck in the 500 block of West Pershing, Chicago Police and the Cook County Medical Examiner’s Office said. Shannon was taken to Stroger Hospital, where he was pronounced dead within the hour, authorities said. He lived in the Bronzeville neighborhood. The medical examiner’s office said he died of multiple gunshot wounds and his death was ruled a homicide. Area Central detectives were investigating. Curley L. Harvey, a family-man and caregiver to his grandma, was shot to death Friday afternoon in the East Garfield Park neighborhood on the West Side. “He was at the wrong place at the wrong time,” Harvey’s niece, Kiswana Evans, said. Harvey raised his two children and his niece, Evans, while her dad was incarcerated, she said. “Curley led a simple life and didn’t bother people. He stayed out of the way,” Evans said. Harvey, 42, was traveling east in a vehicle at 2:29 p.m. in the 3600 block of West Jackson when someone in a silver sedan pulled up and fired shots, striking him in the head, according to Chicago Police and the Cook County medical examiner’s office. Harvey was taken to Mount Sinai Hospital, where he was pronounced dead at 4:04 p.m., authorities said. He lived in the Austin neighborhood on the West Side. “Curley was a very funny person. He was charismatic, a jokester,” Evans said. Harvey’s death left her devastated. “I thought it was a joke or something,” Evans said. She wishes Harvey would have left the neighborhood to escape the violence. Harvey is the second brother in his family lost to gun violence, Evans said. In 2002, his younger brother was killed. Now, only one brother is left, she said. Jerrell J. Perkins, father of two and a restaurant manager, looked out for his family and friends, relatives said. He even tried to help others keep their lives on the right track. His positive impact on people’s lives makes his sudden loss so tragic for those who knew him. 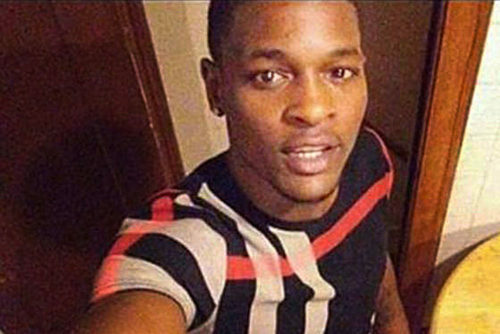 Perkins was gunned down August 19 in a drive-by shooting in West Pullman. He was 26-years-old. 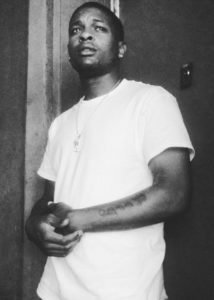 “Rell,” as he was known to many, was standing near a parked car in the 12200 block of South Green, when at about 4:30 a.m. a black SUV pulled up and someone inside started shooting. 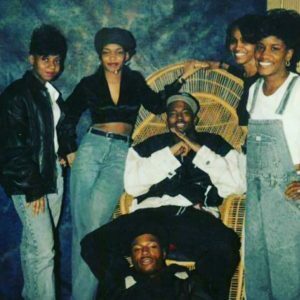 Perkins was shot in the head and was taken to MetroSouth Medical Center in Blue Island, where he was pronounced dead at 4:46 a.m., according to police and the medical examiner’s office.